You’ll find your contact person from here. Finland is a very unique country with it’s long winters and people who’ll in general speak English once they’ve overcome their shyness. season is from the 31st of May until the 11th of August. During the summer all the schools are closed and students and teachers have their summer holidays. Finnish schools have also a autumn break which is usually held on week 42 (mid-October) in the Southern Finland. 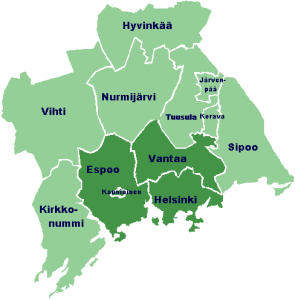 Capital area of Finland offers lots of things from the suburban city life to forests and lakes. You can spend a day or two in the countryside inside the capital area! Forenom Koto, a hostel type accommodation. Koto is located near the airport in Vantaa and has communal kitchen and bathroom facilities. 2 persons/room or more. Forenom House, a hotel type accommodation next to Herttoniemi subway station (Helsinki), no kitchen facilities, own bathrooms. Some of the rooms might have a hot plate. Forenom Helmi, a studio apartment for 2 persons/apartment located in Rajakylä (Vantaa). Forenom Apartments, different size apartments near the airport. Usually for 3-5 persons/apartment. Also Antti Korppi Student House and Tikkurila Hotel is used, if there’s room. Contact Varia’s staff for price and reserve information! Antti Korppi you can book from your schoool. Students staying at Varia at least 4 weeks are able to buy a student price travel card. Here’s the form you should fill out and bring along to Varia. If you’re located in Vantaa, then you’ll need only the internal Vantaa transport ticket (valid for buses and train inside Vantaa area). Price for a month around 30 euros. If you need to go to Helsinki, you’ll need regional ticket which gives you more options; you can travel by bus, tram, subway, train and the Finnish Fortress ferry with the ticket. Price for a month around 60 euros. Vantaa, the 4th biggest city in Finland, offers sights and experiences to meet everyone’s interests. 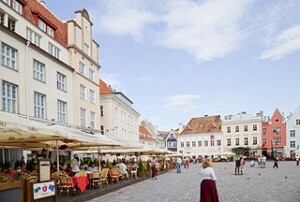 There’s also a a ferry connection to Tallinn, Estonia from Helsinki. Travel time is 2,5 hours for fast ferries. Cruises available. There can be limitations during the winter time.